A girl’s softball team in Edmon, Oklahoma is learning about becoming internet famous after their Frozen-themed team picture has gone viral. What inspired you to photograph the team in their Elsa getups? Little girls love all things Frozen so when our team name became the Freeze, my wheels started turning. 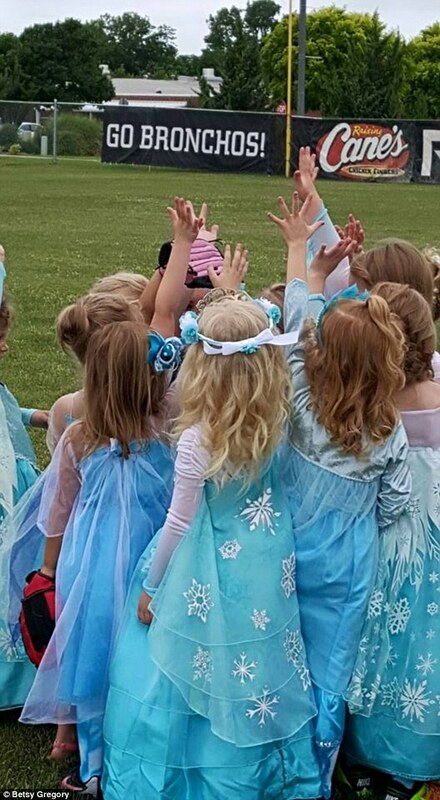 I have seen images done with little girls looking tough in cute dresses and softball gear, so I figured why not add the Elsa dresses? It was hilarious taking the photo- the girls were a hoot! How did the team come up with this team name and theme? In the Fall, I was sitting with a few other Moms while we waited on our girls to finish dance. We joked about starting a softball team for them since they spend most of their free time watching their older siblings play baseball or softball. We decided they would love a Frozen themed team! What started as the Sparkling Elsas turned into the Freeze. We had baseball caps with Elsa and her fake hair- super cute! What do you hope people who see the Freeze team photos will get out of seeing them? What started as something fun has turned into something more. The ‪#LikeaGirl‬ campaign is huge! Teaching our little girls that being a princess and getting dirty is ok. Beauty comes from within. God made us all unique and special- that is what is unintentionally reflected here! We want the girls to be proud of who they are and feel empowered to take on this crazy world we live in! While the girls don’t actually play in the pictured dresses, hats off to Betsy for thinking outside of the box when it comes to team pictures. 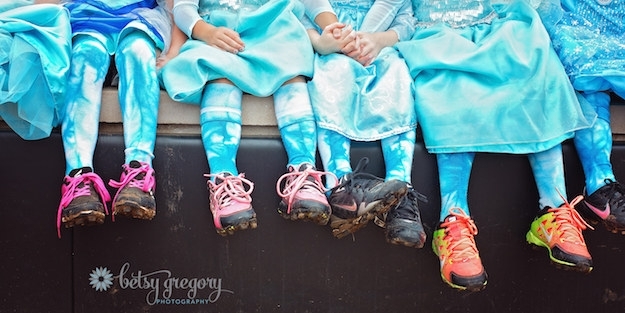 The post Little girls softball team poses in ‘Frozen’ themed team picture appeared first on GuysGirl.